A pretty kitty makes for the fanciest feet! Embroidered kitty face at the toe. Signature gold web on sole. 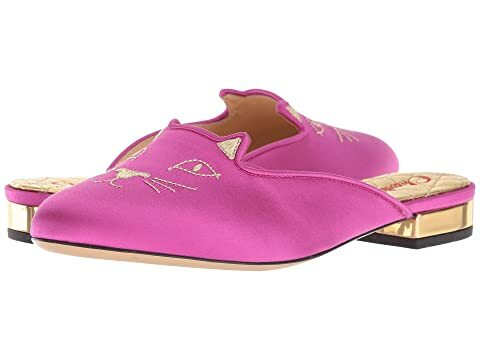 We can't currently find any similar items for the Kitty Mule Flat by Charlotte Olympia. Sorry!